Horsey Horse is the snuggliest foal around. 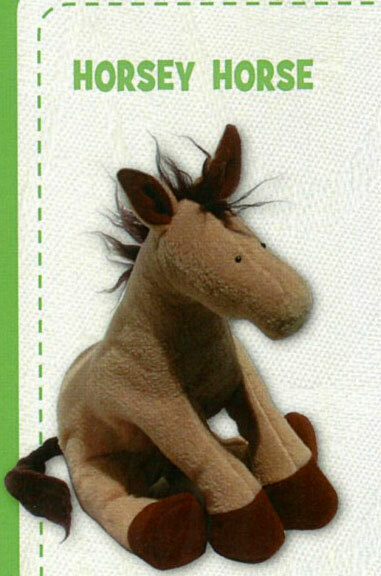 With his fuzzy mane and perky ears he will appeal to horse lovers of all ages. 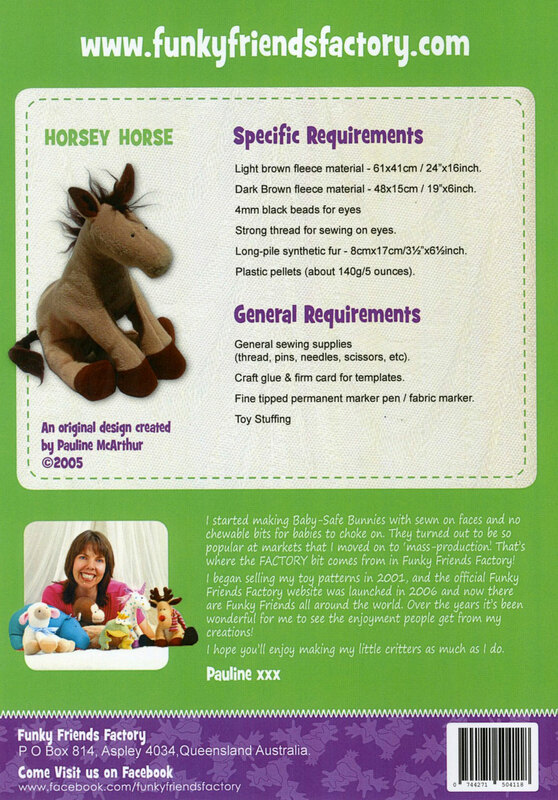 Horsey can be made up in all sorts of color variations so you can make everyone’s horsey with their own special look! 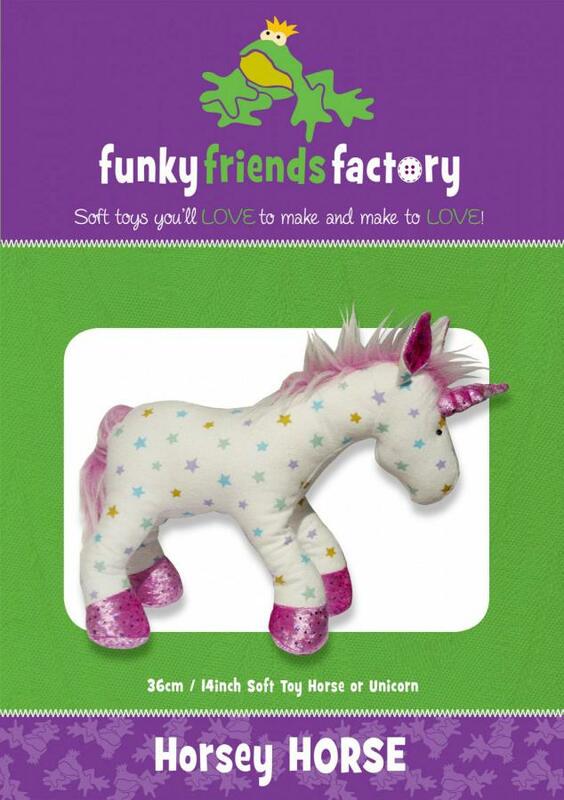 Horsey is still only little and he has an ‘imaginary friend’ unicorn called Unix who he takes with him wherever he goes (The unicorn pattern is included***). Fleece, of any type, and stretch fabrics eg. velour, chenille and flannelette. 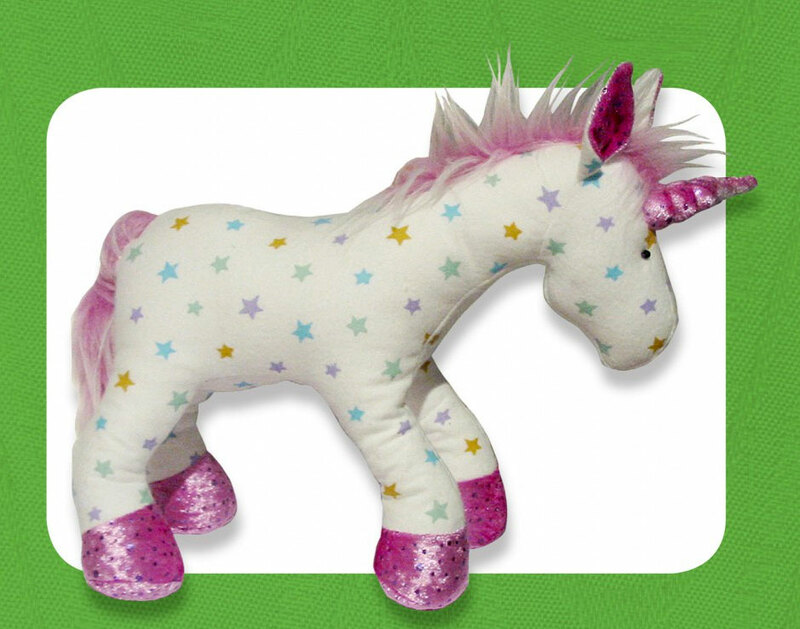 Horsey and Unicorn can be also be made from non-stretch fabrics such as cottons and corduroy.